MIYUKI designs several series of craft kits like necklaces, rings,straps,charms,etc... 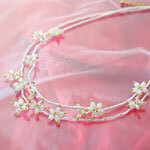 They are designed with high quality beads and parts. Please refer to our craft kits series. 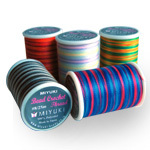 Two kinds of beading threads for bead stitch and bead crochet. 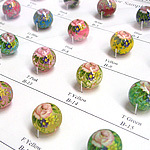 Decal bead is acrylic base bead with Japanese modern and traditional designed decal on the surface. 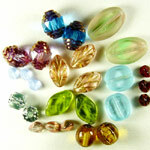 MIYUKI deals with various types of beads such as Swarovski beads and fire polished beads. 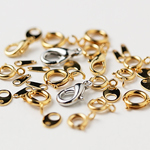 All kinds of Findings,tools,cords and findings are also necessary for bead workings. Books have wonderful work collections of Delica Bead weaving ideas. Books include pictures and some instructions.